Why Invest in a Sioux Falls Franchise? Transworld is looking for someone smart, driven, and ambitious to open the newest franchise in Sioux Falls, South Dakota. At Transworld, the leading corporate real estate franchise in the world, we strive to provide our franchisees with all the greatest resources and training. As part of our dedication to being the best, we want our franchise owners to do business in the best areas, which is why we want to open one of our locations in Sioux Falls. Sioux Falls’ thriving economy and amazing business resources make it the ideal fit for a Transworld franchise. From its humble start as a mining and agricultural town, Sioux Falls has blossomed into a diverse, economic powerhouse. With thriving industries in everything from financial services to retail to healthcare, Sioux Falls boasts an unemployment rate that is less than half the national average and a job growth rate that is double the national average. Indeed, these factors, among others, contributed to Sioux Falls landing on Forbes’ list of the Best Small Places for Business and Careers at #3 out of 200 cities. In an effort to maintain its high economic standing, Sioux Falls implemented the Economic Development Division, whose goal is to continue to encourage investment, improve disadvantaged areas, foster job growth, and support businesses. One way the EDD achieves this is through tax incremental financing, or TIF. TIF offers tax incentives to businesses that invest in areas affected by declining population, few economic opportunities, decrepit buildings, underdeveloped land, and more. Businesses that take advantage of TIF receive a tax reimbursement when they do things like build or renovate buildings in these areas or create jobs. 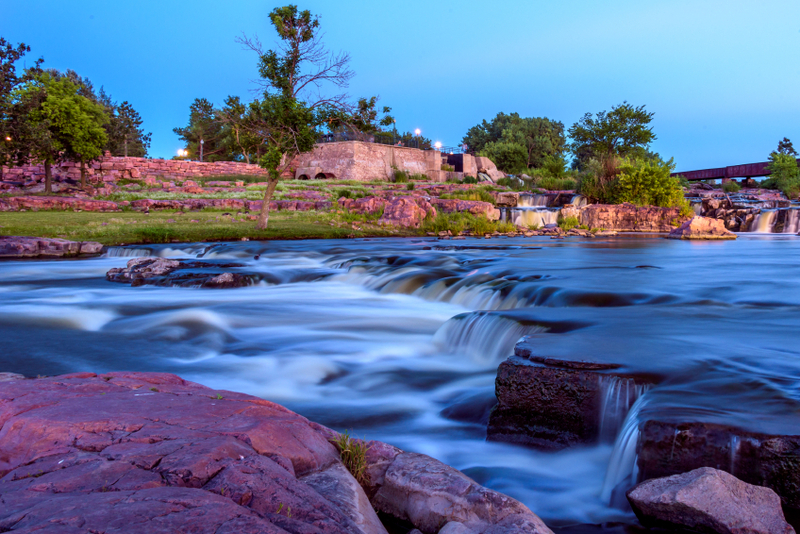 With everything that Sioux Falls has to offer, there’s no time to waste. An investment opportunity in a city with such a stellar economy doesn’t come around every day, so what are you waiting for? Transworld is the premier commercial real estate franchise, and we’re looking for someone like you to take the leap, become your own boss, and invest in our world-renowned franchise right away. To find out how to open a Transworld franchise, click this LINK.